With this year’s 100th anniversary of the United States’ entry into “the war to end all wars,” Hope College faculty and student researchers have delved into the multi-faceted ways Hope and Holland, Michigan, played a part in World War I. What they discovered are timeless tales of patriotism, immigration ideologies and wartime controversy. 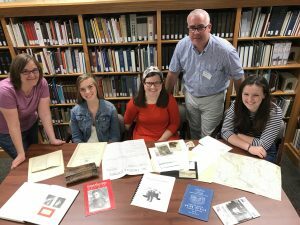 Dr. Jeanne Petit, standing left, and Geoffrey Reynolds, standing right, led three Hope students — Avery Lowe, Aine O’Connor, and Natalie Fulk, seated left to right — in a research project on Hope and Holland’s involvement during World War I. Led by History Professor and Department Chair, Dr. Jeanne Petit, and Geoffrey Reynolds, director of The Joint Archives of Holland at Hope College, three history majors — sophomore Aine O’Connor of South Bend, Indiana; junior Avery Lowe of North Muskegon, Michigan; and, senior Natalie Fulk of Mahomet, Illinois — have poured over both published and personal WWI materials left in the custody of the archives at the Theil Research Center. How do we understand diversity and patriotism during wartime? What does a global economy mean and how does it work during war? When should patriotism reside next to religion? How are disabled vets rehabilitated and respected at home? Each query became a not-so-subtle reminder that the more things change, the more they inevitably stay the same — especially when it comes to war. Though the U.S. involvement in WWI lasted just over a year-and-a-half (April, 1917 to November, 1918), the Great War deeply affected the United States’ economy and psyche, and thus Holland and Hope’s. The atrocities of trench warfare, the growth of global trade and the renunciation of the advance of communism all had newly realized human and cultural costs. While Fulk researched the naturalization of Dutch and German immigrants in Holland, O’Connor investigated multiple stories of Hope students leaving the college to enlist, serving however and wherever they were sent. 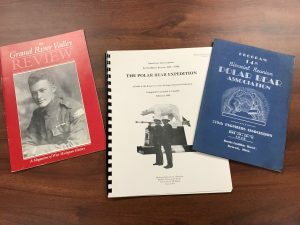 Two other stories uncovered by the team illuminated views on veteran disabilities, long before the Wounded Warrior Project, and the political and religious correctness of displaying the American flag on church pulpits given the Constitutional tenet of separation of church and state. 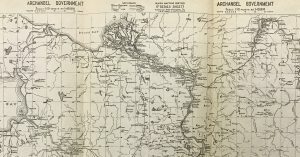 These and more stories about a small town and college’s impact on and from the Great War will be published in this web exhibit to help visitors understand the larger and more specific issues that changed the U.S. and these researchers on multiple levels.